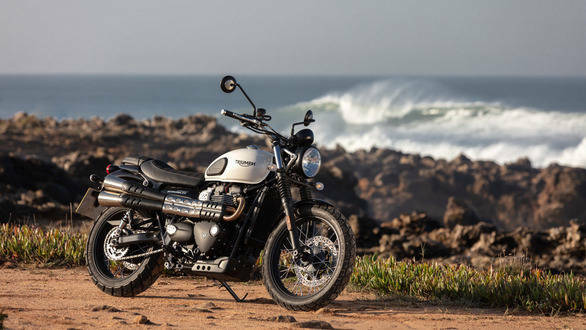 The 2019 Triumph Street Scrambler has been priced at Rs 8.55 lakh, ex-showroom. The Scrambler has been a part of the Bonneville family since 1963 in fact. It shares its 900cc, liquid-cooled parallel-twin engine and five-speed gearbox with the newly launched Street Twin, but the chassis differs slightly as the main frame is not exactly the same. 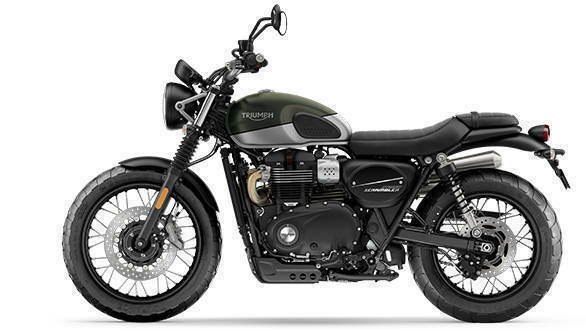 Similar to the 2019 Triumph Street Twin, the Street Scrambler too is being brought to the country through the CKD route. Triumph India has already started accepting bookings for the 2019 Street range, we expect the deliveries of the same to commence in the next few weeks. The power output of the 2019 Triumph Street Scrambler has been increased by 18 percent and stands at 65PS now as opposed to 55PS earlier. The rev range has been upped by 500rpm too and the engine redlines at 7,500rpm now. Triumph says customer feedback indicated that while they were quite happy with the bottom end and midrange grunt, a lot of owners wanted better grunt at the top. So the torque curve has been flattened ? peak torque produced is the same at 80Nm but is now available from just 3,200rpm and is available for longer, which means better midrange and top end performance. The engine also gets a new magnesium cam cover, new lightweight crankshaft, dead shafts, and balance shafts. The clutch itself is lighter while the clutch cover is mass optimized. While the Street Scrambler did come equipped with traction control and ride by wire right from the start, the bike also gets riding modes now. It benefits from the addition of Rain, Road, and an Off-road mode. For 2019 the Street Scrambler also comes equipped with 41mm cartridge forks from KYB with 120mm travel (same travel as the Street Twin) to improve stability and handling. Brakes have been updated as well ? a new, four-piston caliper (with Brembo branding) has been employed upfront, for better brake feel and bite as well. Aesthetically, the bike remains largely unchanged except for changes like a revised seat cover for a more rugged look and revised logo. The instrument cluster remains the same, integrating the digital display at the bottom but gets slightly revised design a new bezel and graphics.